The SUV that started it all has been totally redesigned— inside, outside and under the hood. Its silhouette features an athletic stance with sculpted angular lines, and a revamped grille. Open its doors and you’ll find a stylish, super-comfortable interior with improved cargo capacity and a host of smart technologies designed to make every drive more enjoyable. The new Explorer is engineered for big adventures. In fact, it can tow 5,000 pounds*, when equipped with a Class III Trailer Tow Package. 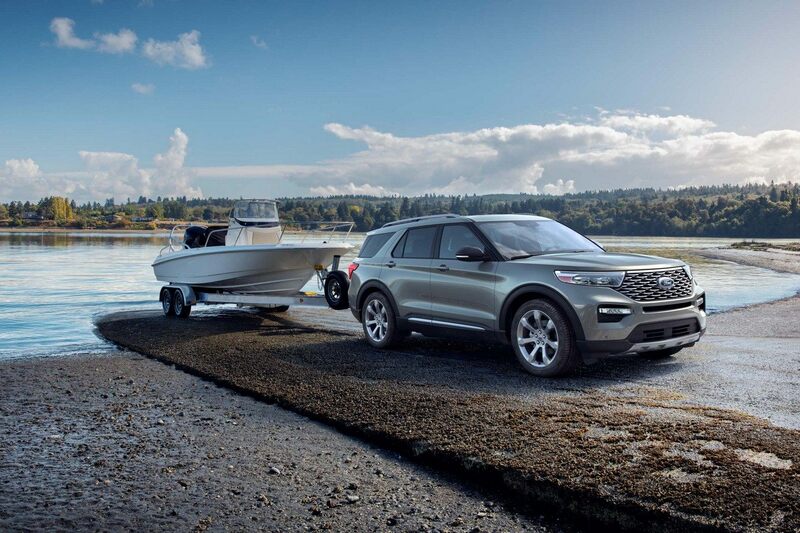 The athletic look of Explorer ST is more than sheet metal-deep. It's matched by a powerful 300hp engine, a sport-tuned suspension and driving dynamics engineered by the Ford Performance team. 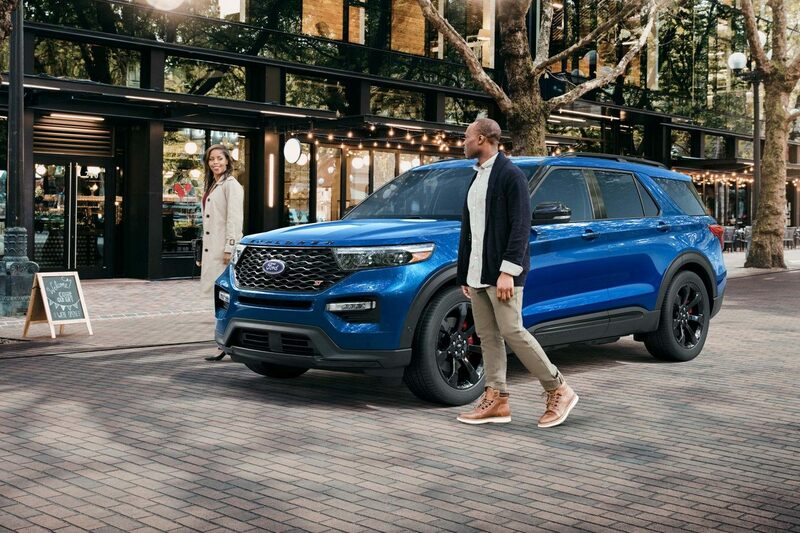 The Explorer ST rounds out its' ready-for-anything stance with available 21-inch high gloss black aluminum wheels and red painted calipers. Inside, the Explorer ST stays true to its performance roots featuring sport bucket seats with leather micro-perforated surfaces and City Silver accent stitching and ST logo. 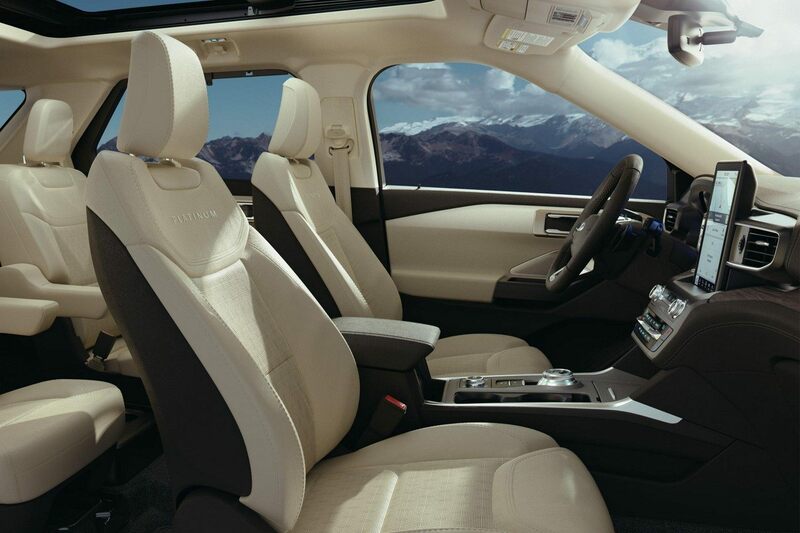 Love every minute of the drive in a comfort-minded interior featuring plenty of extras. From the standard tri-zone electronic automatic temperature control and available E-Z Entry 2nd-row captain’s chairs to enhanced color instrument panels, the dialed-up craftsmanship will leave you looking forward to the journey as much as the destination. 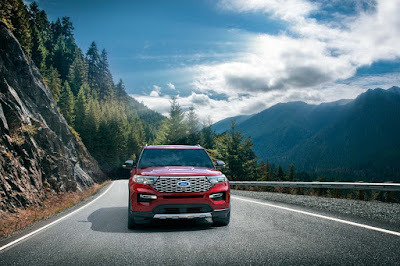 The 2020 Explorer is coming soon to Brighton Ford, your favorite Michigan Ford dealer!